In five seasons, Leicester City's Development Squad have enjoyed plenty of success, having won the Professional Development League 2 in 2012/13 before going on to lift the Hong Kong Soccer Sevens title later that summer. As part of the 2013/14 Under-21 Premier League, a blistering end to the season saw Beaglehole's Foxes finish sixth and secure a spot in the first-ever Premier League International Cup the follow year. 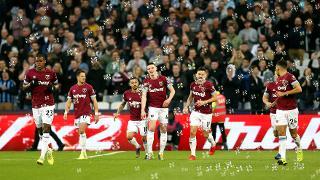 That pitted them against the likes of Benfica and Schalke during a run to the Semi-Finals, when they were beaten in extra-time by eventual winners Manchester City. The Foxes also achieved a top-six finish in the 2014/15 season and, with the introduction of promotion and relegation, once again maintained their elite status in 2015/16, which was a feat they would repeat the following year too - thanks to a 4-1 last day victory over Tottenham Hotspur. In May 2016, coached by Ben Petty, the Development Squad lifted their second Hong Kong Soccer Sevens title. During the 2017/18 season, memorable victories - including a 6-1 triumph over Spurs - highlighted the progress being made. City's youngsters reached the Semi-Finals of the Premier League Cup and the Hong Kong Soccer Sevens before beginning the 2018/19 season in Premier League 2. All Premier League 2 games involving City's Under-23s are broadcast live on LCFC TV.